Cat lovers and Neko Atsume fans will not want to miss Love Kuching Project, Singapore’s first pop-up cat cafe. 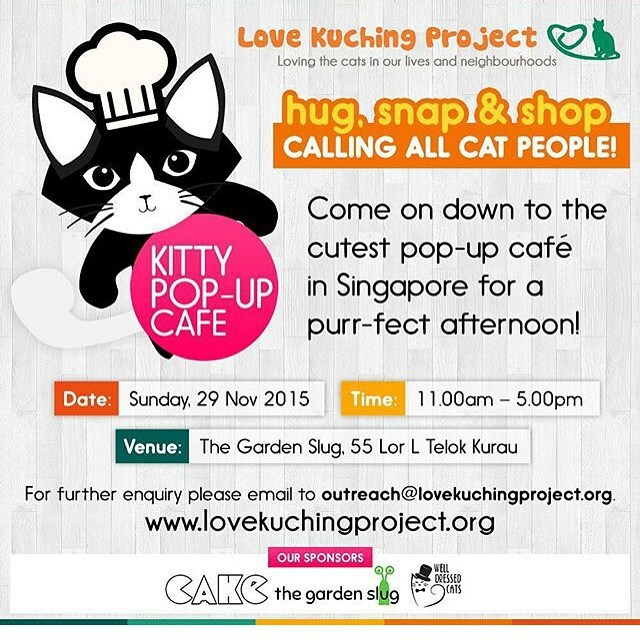 At this ONE DAY ONLY event, you will get to interact and take pictures with the cats at The Garden Slug on Sunday, 29 November 2015 from 11am to 5pm. If you own a friendly cat or many cats, you may also bring your lovely pets down to let them interact with other cats and cat lovers alike. 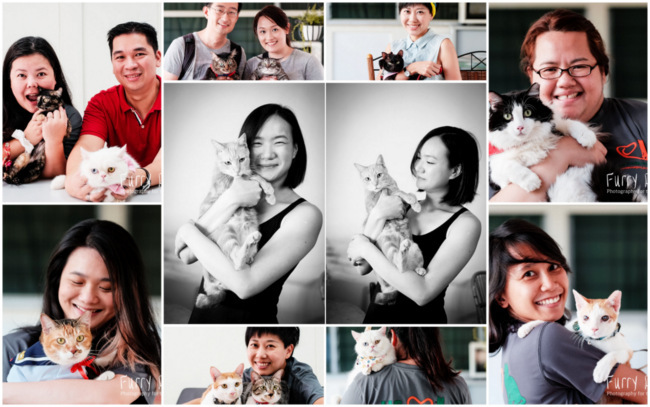 For S$10 per head, get professional photos taken with the cats. Each person will have one photo printed on the spot, and more uploaded online for them to download. All proceeds will go towards Love Kuching Project (LKP) cattery operations. There will also be cat accessories on sale at lowered prices. All profits will also go towards LKP. Objective: To raise funds for LKP’s cattery operations.